Have you ever noticed a security guard roaming the stores at Walt Disney World? Disney strives to hide any mention of the ‘real’ world while you are in the parks, it’s part of the magic that they strive to deliver, and seeing a group of uniformed guards standing in the corner of your favorite gift shop would surely kill that illusion. Although some guards totally play up their role, like this infamous guy at WDW! In order to prevent that from happening, Disney used to employ guards known as “foxes”. They were security guards that dressed in regular vacation clothes, and usually wore a Disney baseball cap or carried a gift bag to hide their radio. They were strategically placed throughout Disney shops. Now the “foxes” are known as RTO (Retail Theft Operatives), although I think the name fox was cooler. 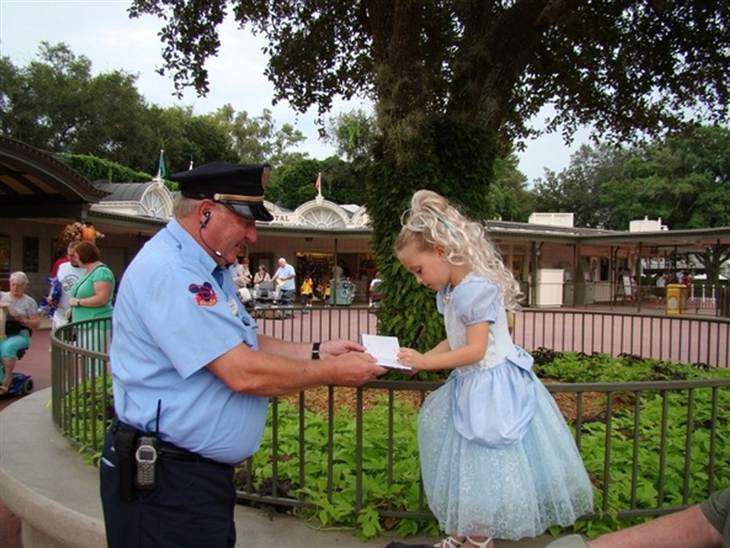 This undercover security job is one of the most coveted positions at Disney!